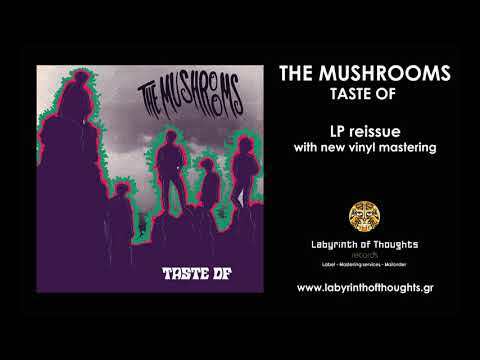 The Mushrooms were created in the mid 80’s and they become a legend of the greek underground, releasing 2 albums. 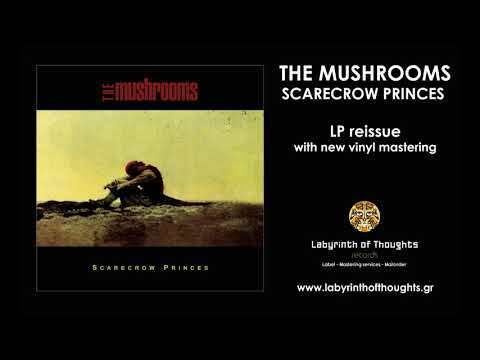 “Taste of” (1986) and “Scarecrow princes” (1989) are true gems of of psychedelic punk – garage sound. A few months before they come into a state of a never ending hiatus in the beginning of the 90’s, they recorded a demo with 4 tracks (Sinner – As tears go by – Eyes wide open – In true mental). At “Agrotikon” studios with Argy (Ektos Eleghou – Blackmail) on bass. 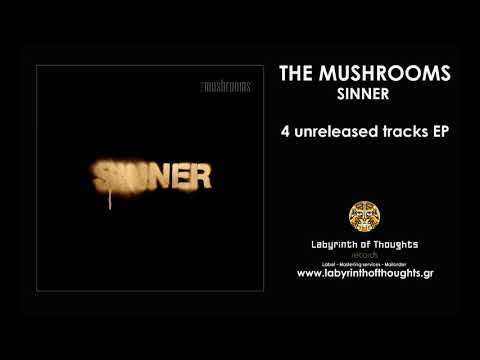 Previously unreleased until now, under the title “Sinner”. 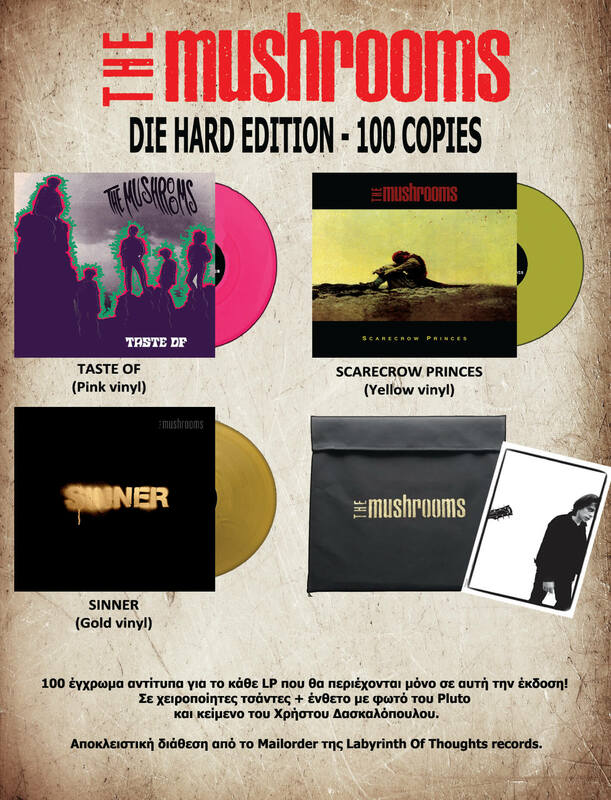 Die Hard edition: 100 handmade bags, including colored editions of the 3 vinyls (“Taste of” in pink, “Scarecrow princes” in yellow and “Sinner” in gold) + insert with Pluto ‘s photo and liner notes from Christos Daskalopoulos. All the above, printed exclusively for this limited edition. Μastering – audio restoration: Νίκος Στυλίδης @ Labyrinth Of Thoughts.